Anand Institute of Medical Science (AIMS) is one of the best institutes in North India to get professional education in medical and allied fields. This has affiliation with Punjab Technical University. The various professional courses of AIMS are Dental Lab Technology, DOTT (Diploma in Operation Theater Technology), DMLT (Diploma in Medical Laboratory Technology), DPT (Diploma in Psychotherapy), CMS & ED (Community Medical Service and essential Drug), B.Sc. Medical Laboratory Technology, M.Sc. Clinical Micro Biology, B.Sc. Bio Technology, and X-ray, Ultra Sound, CT Scan. After learning from this institute, its students can practice professionally. These courses are best for self-employment opportunities. Their courses are also eligible for the State and Central Government jobs. The admission in these courses is available for 25 seats to 100 seats with a 1 year to 3-year full time duration. This is a Co Education institute having excellent infrastructure and amenities. They do conduct various camps and free treatment programs, where their students can participate and gain experience in medical allied filed with real time patients. 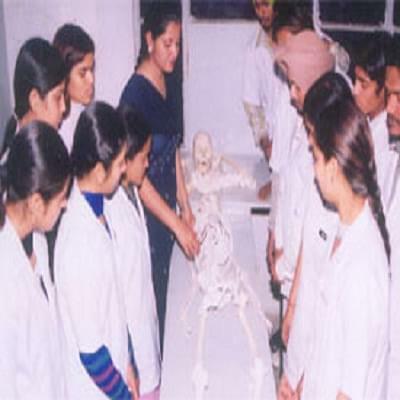 Why to join Anand Institute of Medical Science? A modern library is there with 3000-plus books on the shelf along with medical related magazines. It has one of the finest laboratories equipped with latest medical lab equipment. It is a well maintained area and the entry into the lab is permitted only with lab safety gears. This institute has well furnished classrooms with multi medical equipment. It also has all other student’s amenities within the institute. This institute is functioning through a charitable trust and they provide cash assistance to the meritorious students.